Alvar Aalto was commissioned to prepare drawings for Jyväskylä art museum, which were finished in autumn 1971. The building was completed in 1973. The Alvar Aalto Museum is sited on a slope leading down towards Lake Jyväsjärvi. 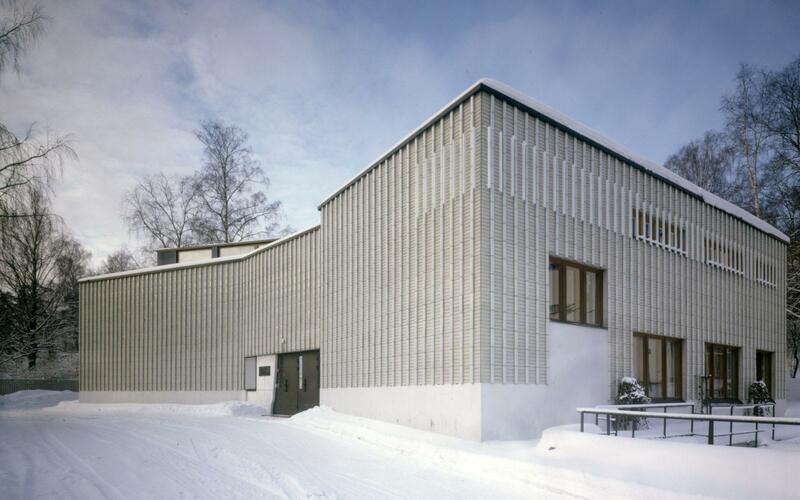 Above a high, white-painted concrete plinth, the elevations of the Alvar Aalto Museum are clad in light-coloured ceramic tiles named ‘Halla’, the Finnish word for ‘Frost’, and made by the famous Finnish porcelain manufacturers, Arabia. The vertical bands of baton-shaped, glazed tiles divide up the rampart-like elevations to form a relief that gives a strong effect of depth when the surface is washed with light. The rampart-like quality is emphasised by the vertical battens on the roof windows of the exhibition galleries, which cause the roof lights to merge into the façade when looked at from a certain angle. The entrance façade has no windows apart from a few tiny openings close to the doors. The surface of the massive doors is copper and there is a hint of marble on the left-hand side of the doorway. The roofscape is dominated by the east-facing roof lights. Nowadays the building is the home for the Alvar Aalto Museum. 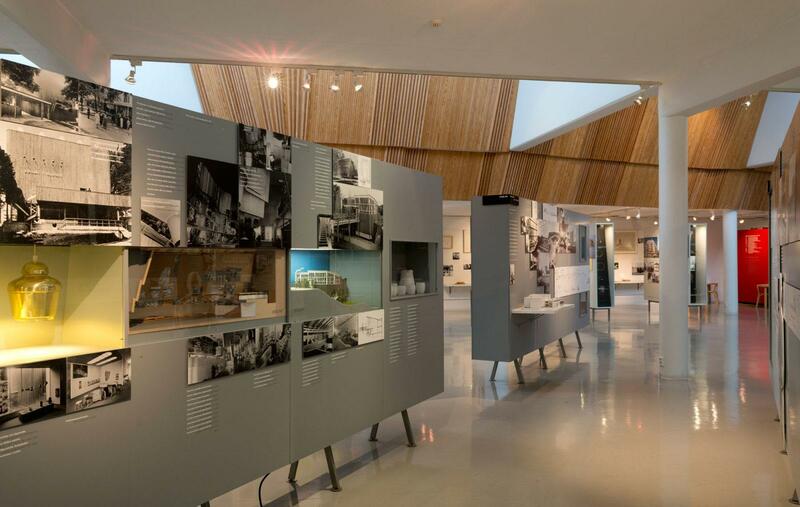 The museum’s main exhibition “Alvar Aalto. Architect” represents Aalto’s extensive oeuvre and colourful personal history. In addition to the architectural objects, Aalto’s glass and furniture design is displayed in the exhibitions. The museum building itself is characteristic of Aalto’s architecture, and the gallery presents a range of exhibitions on his work, as well as topical architecture and design that resonates with Aalto’s themes. 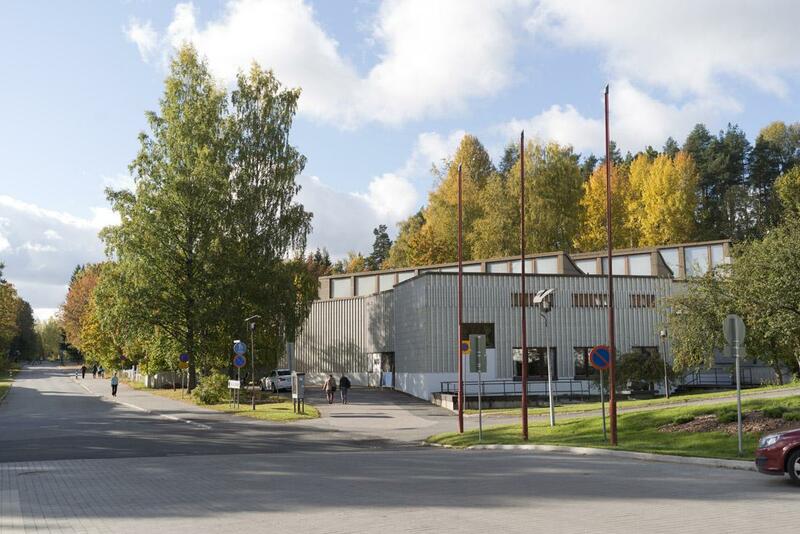 To visit the Alvar Aalto Museum is not only to immerse yourself in the world of Aalto’s architecture, design and personal history but it is an architectonic experience of space and building at the same time. The museum is open for visitors all year round. 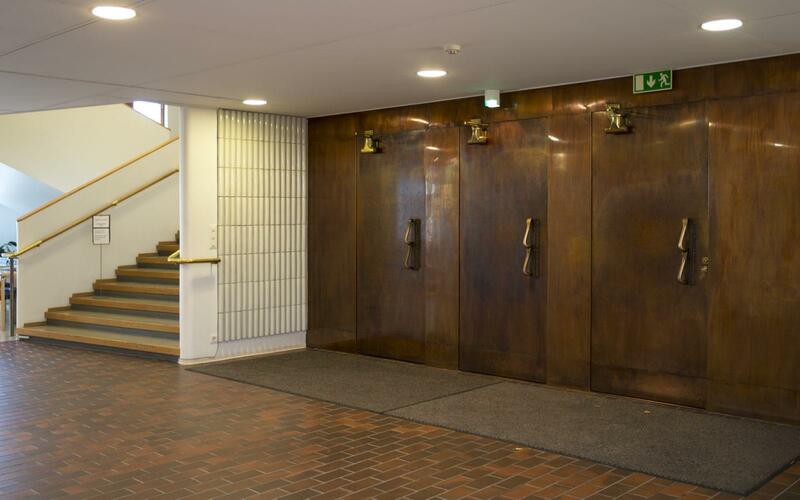 The lower floor houses the foyer and cloakrooms, café, Alvar Aalto Shop, offices and space for storage. The upper-floor exhibition gallery is about 700 m2 in area. There is a small flat at the back of the building containing offices, plus a studio, which now acts as the museum workshop ‘URBS’. Museum is located very close to the city centre of Jyväskylä. It is located on Alvar Aallon katu 7. You can either take a local bus from the Travel Centre or go by foot, it is only approximately 15 minutes walk. Jyväskylä offers beautiful lake sceneries on Päijänne and Jyväsjärvi. Jyväsjärvi is accessible from Lake Päijänne via Äijälänsalmi, a busy but safe and wide channel. Jyväskylä’s refurbished busy marina is located in Lutakko on Lake Jyväsjärvi close to the heart of the city and Travel Centre. More information here. Please note that you can purchase publications about Aalto’s architecture in Jyväskylä as download architectural drawings from Alvar Aalto web shop! 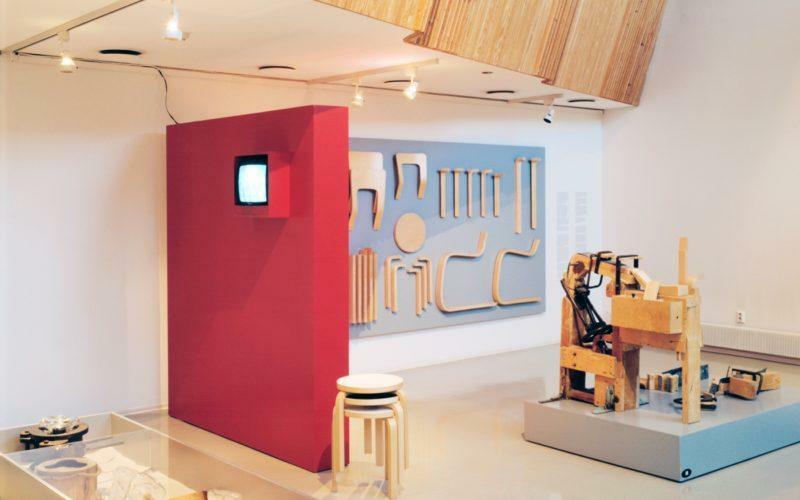 Guided tours by appointment: museum@alvaraalto.fi. Book your visit from the webstore.